The next meeting of the Arklow Geraldine’s Ballymoney Club Executive will take place in the Wicklow County GAA Board Room in Pearse Park on Wednesday the 6th of August 2014 at 8pm. Wicklow Lenovo Skills Hub will take place from August 5th -8th in Ballinakill COE Rathdrum. This is a skills development course for boys and girls aged 13 -15. Course cost is €50. For more info see: Wicklow Lenovo Skills Course at www.lenovoskillshub.gaa.ie. Wicklow GAA are running a GAA referee course in the new Centre of Excellence in Ballinakill Rathdrum on 11th, 13th & 15th August at 7.30pm each night. There is no cost to clubs or people attending the course. Contact the GAA office in Arklow, visit the website at www.wicklowgaaonline.com or contact Trevor Culbert, the Referee Administrator, at 087-9369348. To be in with a chance to win All-Ireland Final Tickets get to the Bridgewater Shopping Centre on the 23rd/24th of August or the 29th /30th of August and buy a ticket to get your name in the hat. Draw on September the 2nd. 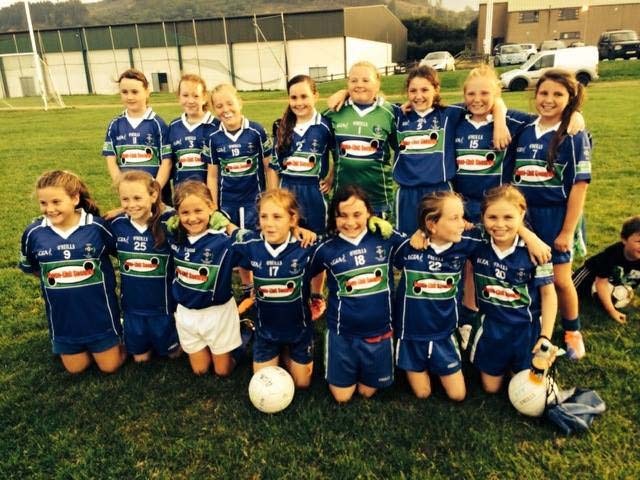 The AGB U10 girl’s team had a good win on Thursday the 31st of July against Castletown in their fourth Wexford league match! Well done girls keep up the great work in training. The U8, U9 and U10 girls also took part in a County Blitz in Blessington on Saturday the 2nd of August. 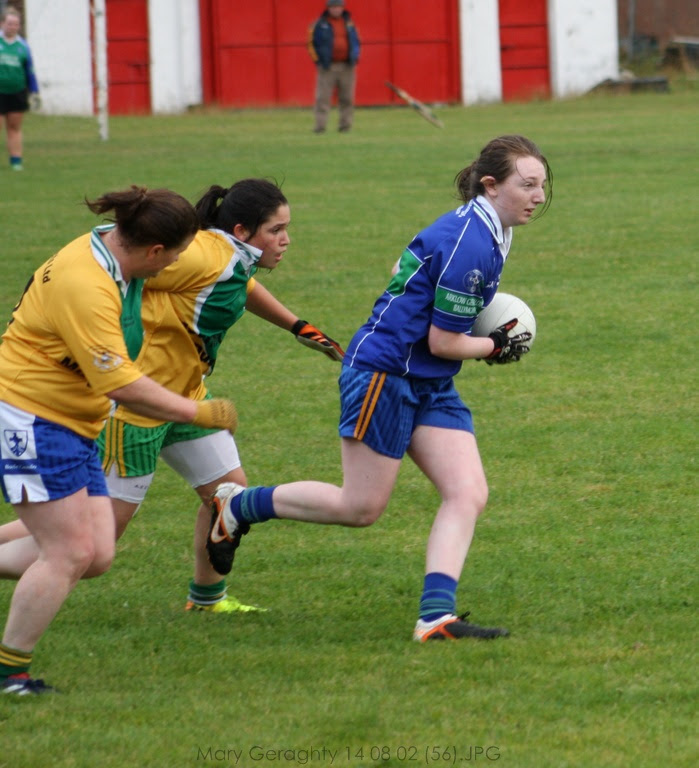 Hard luck to the Junior Ladies who were out against St. Nick’s in the championship Semi-Final. The weather matched the mood of the AGB ladies at the end of this match. Despite their best efforts, the girls could not counter a very skilful and strong St. Nick’s team on the day. Final score St. Nick’s 1-7 to AGB 1-3. Very strong displays from AGB’s Mairead Hurley, Kayleigh Earls, Aoife O’Reilly and Roisin O’Reilly.